2 place, lightweight helicopter built for military or commercial use. It was funded as a private venture. 5 purchased by U.S. Army for evaluation designated YHO-2HU. 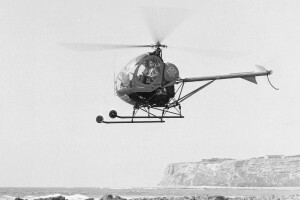 Resources related to the Model 269A/YHO-2HU , provided by the Vertical Flight Society. Resources related to the Model 269A/YHO-2HU , provided by public sources across the internet.